You are here: Home / Shop / Cat Stuff for Humans / Shop My Friends for the Holidays! Shop My Friends for the Holidays! If you humans out there are anything like my human, you still have some holiday shopping to do! So I wanted to direct you to a few gifts at the stores of some of my good pals! I am always plugging my own books and Zazzle shop, but I not the only one with cool stuff! 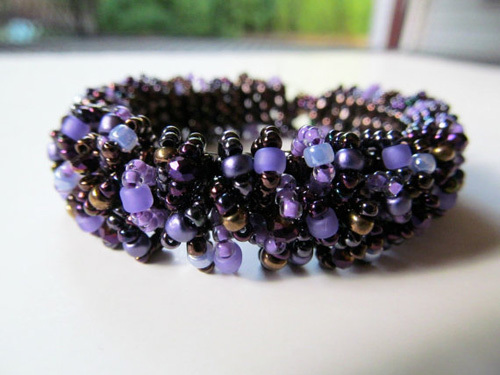 This gorgeous custom purple and brown beaded bracelet is from Beaded Tail. Sharla makes beautful beaded jewelry — earrings, bracelets and necklaces, and journals too! To make sure her creations are the best they can be, she is carefully supervised by my pals Angel and Isabella. What’s even better is 50% of all proceeds are donated to animal causes, and the cause for December is one of my favorites, Tabby’s Place! Do you know Pricilla the Goat? 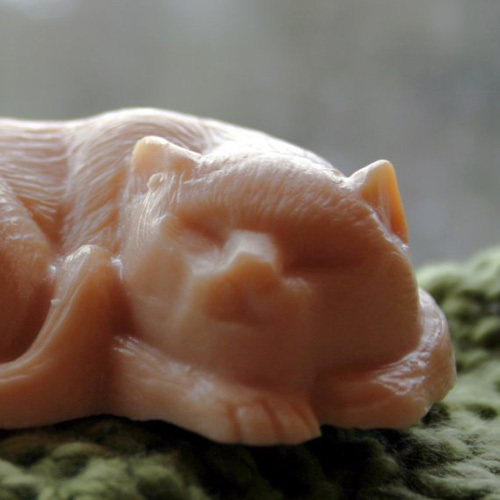 If not, you should — she is part of the goat family responsible for the whimsical soaps at the Happy Goats Soap Shop! They come in all sorts of shapes and delightful scents and make sweet gifts. Pricilla’s publicist also makes some very pretty beaded jewelry, which she sells on her own store, Broken Teepee Designs. I am proud to say that both Beaded Tail and Happy Goats Soap are advertising with me right now! You can see them on the sidebar to the right. Do you know someone who likes fun, funky clothing? Then you should definitely do some shopping at Tie Died Hippy Wear! These one of a kind tee shirts, tank tops and sun dresses are colorful and something you won’t find at those boring chain stores. There are even tea towels, earrings, stockings and (gulp!) pet wear. The mastermind behind these creations also happens to be part of the Katnip Lounge family! I bet you recognize the style of this mug’s design! That’s right, it is the work of Katie and Waffle’s human, Glogirly! You’ll see a lot of those two at the Glogirly Zazzle Shop, plus merch with the Cat Blogosphere logo too! There is lots of eye candy here. Somali cats like me are closely related to Abyssinians, and I am (very) distantly related to a certain celebrity Aby named Jacoby who lives in Boston and is a therapy cat. 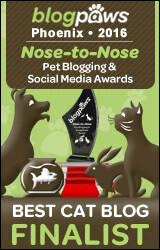 In fact, he was honored as Cat of the Year at the Westchester Cat Show in November! You can find out more about Jake and other Abys at The Daily Abyssinian blog — in fact, if you ever want an Aby of your own, there are frequently posts about Abys needing rescue! (Oh yes, it happens to purebreds all too often.) 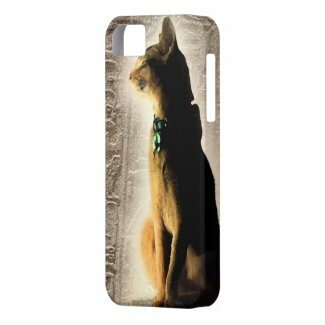 You will find Jake’s handsome, award-winning self in several fetching poses at the Daily Abyssinian Zazzle shop — plus some of the other members of his family, past and present too. Recognize that inscrutable face? It’s Chey from the Cat Post Intelligencer! 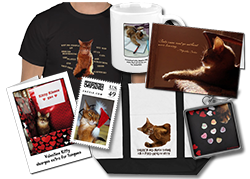 At her human’s Zazzle shop, Bonnie Koenig, Images by Design, you’ll find gift items for Meezer lovers… and acupuncture fans too. There is lots of cool, original art and photography. Show your friends some love this holiday season by shopping at their stores! Note: Some of the Zazzle links are affiliate links, and I get a commission if you click and buy at the shops. This didn’t make a difference on who I chose to feature, though. I am addicted to Priscilla’s soaps—they are GREAT! I particularly like the smaller bars to stick in my gym bag for my showers after a workout. I think I am the envy of all the gym goers. LOVE Beaded Tail’s jewelry too–I have a snappy pair of frog earrings that Grace bought for me. I like to wear them on rainy days. I enjoyed this feature today! Awww thank you Sparkle. That was very nice of you to mention my rich soap. 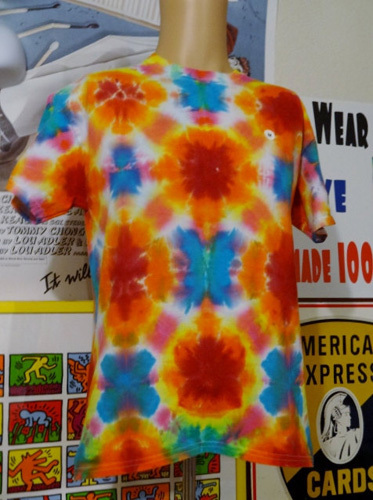 I have just ordered a shirt for Bernadette from Tie Dyed Hippy Wear. It is the official clothing company of the Happy Goats. And Angel and Isabella’s mommy makes very pretty jewelries. TW loves that beaded bracelet! Thanks for reminding her that she needs to order soap from the Happy Goats. We looove shopping indie for our gifts (and stuff for ourselves too!). Thanks for featuring these! Hey! That bracelet is beautiful! Too bad my wrists are so damned tiny. – Crepes. PS. Do your friends fit inside gift bags? I want to use gift bags this year. Cool stuff, Sparkle. Thanks for promoting our furiends’ shops. Now let’s get the mom’s credit card and go shopping! Pawsome shops you are featuring ! Sparkle, Thank you for featuring Daddy’s shop! How unexpected and nice of you. We love all the stores, and have shopped at most of them, too. Sheesh. My Human is SUCH a loser! On the other hand, she *has* purchased items from some of these more talented people! It’s probably just as well she doesn’t even try. Can you just IMAGINE her making jewelry?? Or SOAP??? Ha ha ha ha ha! You do know a lot of talented people! We bought a great tie dyed shirt from the dad at Katnip Lounge, and the mom couldn’t resist the 45 adaptor earrings. So cool! Sparkle, those are great shops to feature! We love all of the merchandise! Thank you so much for featuring our shop Sparkle! We appreciate that! We’re expecting a delivery of Pricilla’s soap today so we already know about the great stuff there! We’ll check out the other shops! That Kindle case is fabulous! This is so sweet of you, Sparkle!!! Thanks for featuring our Mustache Kitty mug! We’ve ordered Pricilla’s goat milk soaps before and love them! …we’ll have to check out all of your friends. Oh thank you for showing off ME (and not one of those horrible Ichiro cards). I’m so thrilled!!! good selection you’ve shown here. will go check out the rest. hey sparkle, you get a cut for every purchase? Just the Zazzle… and I wanted to give some extra link love to my advertisers. But the whole critera for picking them was I liked their products and they’re friends.